It’s sometimes hard to understand how a container is laying out its children. 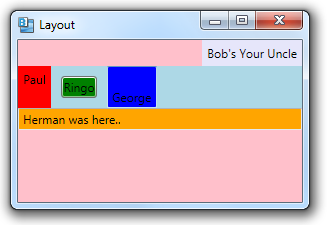 You can use the Background property of each control, or of the panels, to get a better idea of where things are. 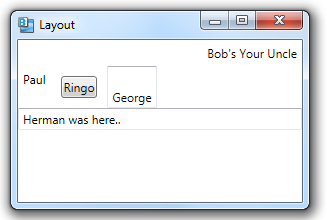 Suppose that we have a GUI that includes a handful of controls and two nested panels. To better see how things are being layed out, we can set the Background to a different color for each element.